A cockroach infestation is a tough pest situation for anyone to have to deal with. Whether you’re simply a homeowner or you’re a business owner, these unsightly pests absolutely have to be dealt with as quickly as possible to guarantee the safety of your family or your customers. It’s important to know that cockroaches are extremely difficult to completely get rid of for those who like to take the do-it-yourself route. 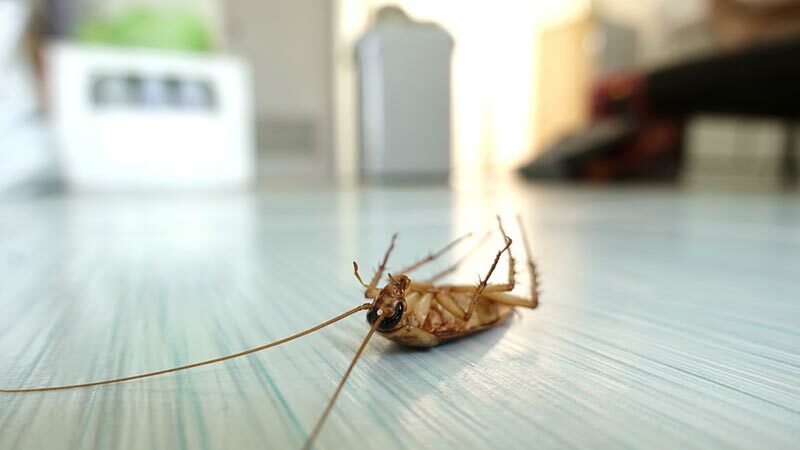 As a result, it’s highly recommended for anyone experiencing a cockroach infestation in Indianapolis to hire a trusted pest control professional to deal with these insects – just like us here at Indianapolis Pest Control. Cockroaches commonly carry diseases, contaminate stored food, and spread dangerous bacteria through their feces. Cockroach infestations become serious very quickly if they’re not completely taken care of in a quick and timely manner. Everyone here at Indianapolis Pest Control understands this, so we highly recommend contacting a roach pest control company as soon as possible if you’ve noticed any roaches within your home or business. How Did I Get Roaches & Are They Serious? People often blame a cockroach problem on poor cleaning and general upkeep within a home. 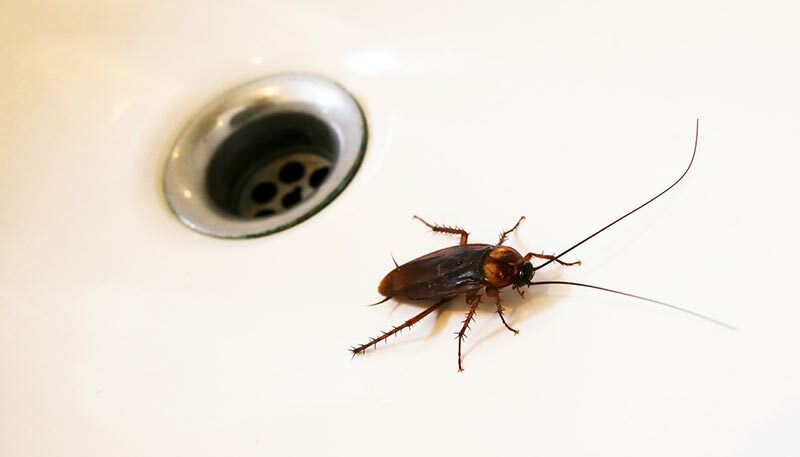 When cleaning floors, kitchens, and bathrooms, it’s useful and crucial to reduce any possible sources of food that could be used by cockroaches. However, they may get inside your home and create an infestation for reasons other than easy-to-access food sources. In fact, roaches can hitch a ride on items that are already infested and are brought inside the home. They can also get indoors via cracks, gaps within the house’s exterior, enter through drains or piping, and there are even a few types of cockroaches that fly inside due to being attracted to bright lights. While cockroaches are one of the most common pest problems people have to deal with, they’re also extremely stubborn – as mentioned above. Any type of major infestation is very difficult to completely remove because these pests like to hide in many different areas. They also breed rapidly and can even develop resistance to pesticides. Cockroaches have been known to contaminate food with the E. Coli and Salmonella bacteria’s, making it extremely unsafe to ignore any level of infestation. Having constant exposure to roach feces and their dead body parts over time can even trigger allergies and even asthma. German Cockroach – These cockroaches love to live and reproduce indoors. They’re most commonly found around the kitchen area or running around in the bathroom. American Cockroach – These cockroaches are typically found in the basements and kitchens of homes. However, they prefer to reproduce outside and like to live on trees. Oriental Cockroach – These cockroaches can be identified by their dark black or brown color. They love cool and wet areas, like basements. This type of roach is a hazard to your health since they love to eat garbage and other decaying items. We believe it’s vital to know and understand the most common types of cockroaches out there. Always remember that, no matter what species of cockroach you have, these little pests are very tough and resilient. This literally applies to all types of roaches! We know these buggers have been around for a long, long time because of what we’ve found in the fossil record. You’re not going to last that long on here on earth without being super tough to kill! There are also some additional cockroach facts that you should be aware of when potentially dealing with an infestation within your home or business. For starters, German Roaches are by far the quickest reproducing species of cockroaches. In fact, a single female, along with her babies, can reproduce up to (and sometimes even over) 30,000 new cockroaches every year! Next, these pests are very resilient, even if you take away all of their food supplies. Get this – they can survive anywhere from 2-8 weeks without food or water (depending on what type of roach it is)! Remember, these pests pose very real health risks through the contamination of food and by causing asthma/allergy attacks.